Early Mother's Day Celebration Sale Now- May 3rd Only: Spoil all the "Moms" in your life! Let them enjoy a peaceful, relaxing, customizable massage catered to their bodies needs. 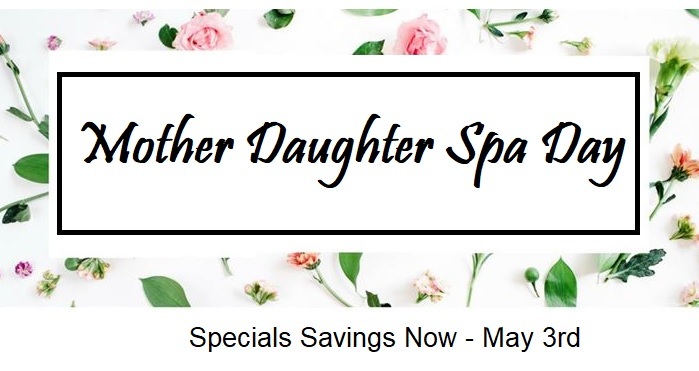 Make it a special moment and join them in a mother - daughter massage day. Massage of Your Choice plus Aromatherapy and Hot Stones at no extra charge. Valid Now through May 3rd and Only for Mothers, Daughters and Grandmas. Same room may be requested but not guaranteed. Sale Price dates are Now - May 3rd. Same room appointments are limited and are by request. No coupons, discounts applied. And can not be booked on Events or purchased with existing EB Gift Certificates or Any Spa Cards. Indulge your hard working back a with a natural coconut luffa scrub that will eave your back clean soft and hydrated. Then renew with a full body massage focusing on relieving sore muscles and stress. SYNERGY STONES Vs. Basalt? 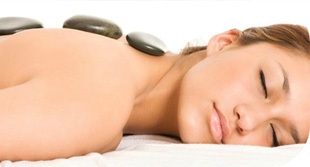 Synergy Stones are designed to perform Synergistic 3D Massage for your sore ache muscles. Synergy Stones are amazing. Hand-crafted, contoured Hot Stones blend Soothing Heat with Ultra-Relaxing and Therapeutic Massage creating a HEAT~WAVE Sensation that you and loved ones will melt away. Great Christmas Gift. 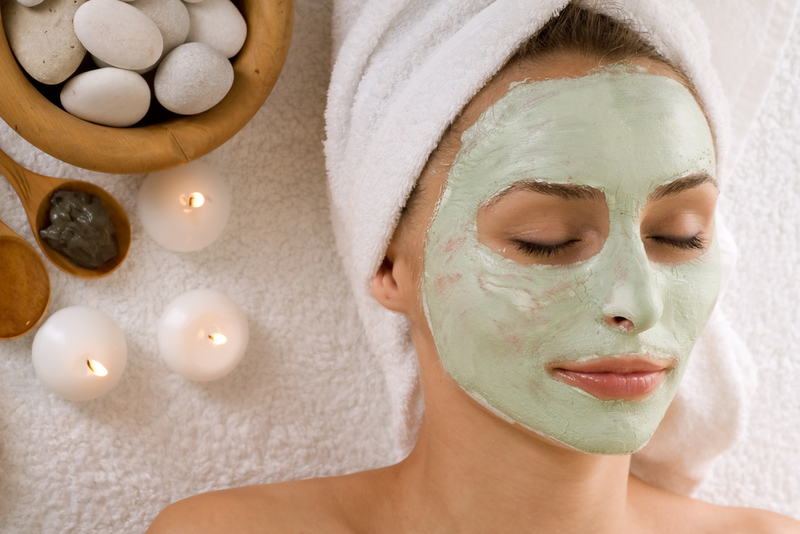 Your hydrating and refreshing facial massage treatment include hot towels, a cleansing scrub, mask and hydrating moisterzer. Then melt a way with a hot stone neck and shoulder massage. 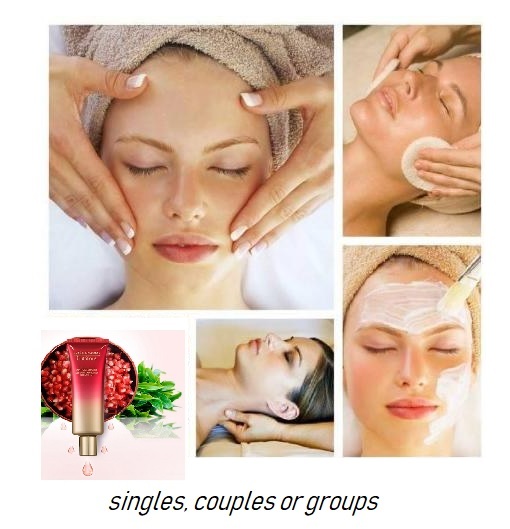 Our Facial massages do not include the use of extractions or chemical peels. 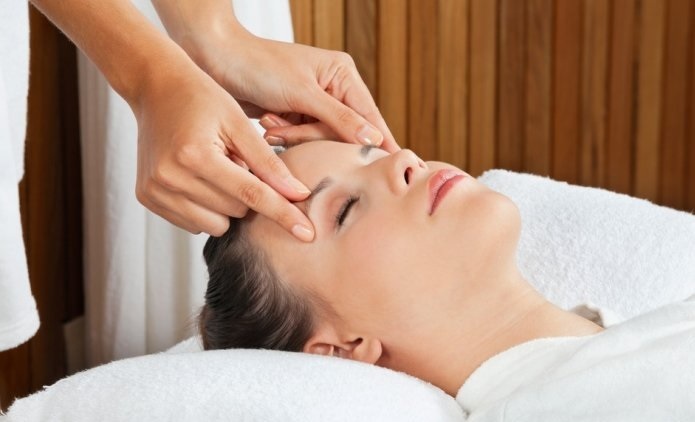 We do not analyze or specifically treat problem skin in facial massages. 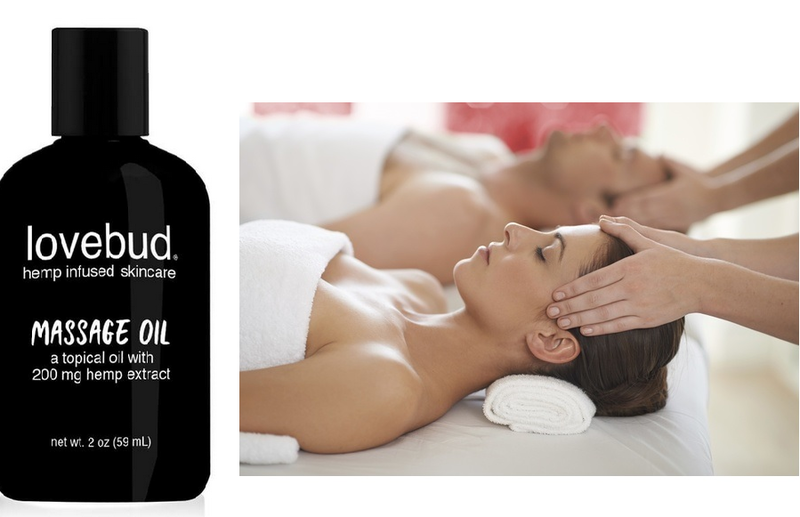 Recover your achy body with a full body massage infused with berry & peppermint oils. Your express facial massage treatment with Estee Lauder nourishing pomegranate cleanser and mask , will drift you away with while leaving your skin feeling smooth and hydrated for your special day. 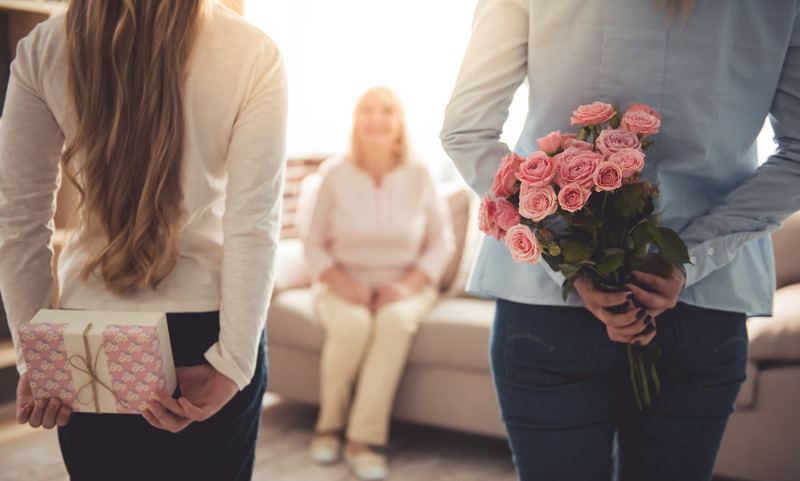 Treat Mom to an extra special Mother’s Day. In addition to our pampering spa packages, we will be hosting a margarita & mimosa mingle with sweets and treats, then after her blissful massage she will be served infused water and teas in our relaxation lounge. Also we are having prizes and giveaways. Mom cant make it, Print or Email Instant Gift Certificates Online. Click Book Now to see service menu. 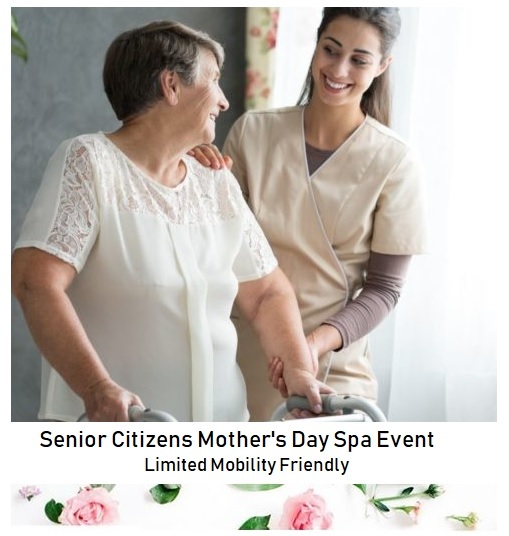 *Event bookings require prepayment 72 hour in advance, and a cancellation notice of 72 hours , also exclusive to certain services and times and may not be combined or purchased with coupons, spa cards and existing gift certificates. Top Pick at Everybody Massage. Would you like to feel better Today? Weekly Specials Mon- Friday 9-5 Your massage is primarily done to relieve the tension and stress around the neck, back and shoulder area. We target problem areas caused by over use, tension, injuries and/or knots! Needing Deep Tissue Please book our Deep Tissue Massage. $53 Reg $60. Weekly Specials are valid Monday - Friday from 9-5pm only. Not valid with other discounts, coupons or spa gift cards, Couples Massage, groups or Events. Limited availability on Friday's. Into rate may not be combined with any other service or discounts and one per person per visit. 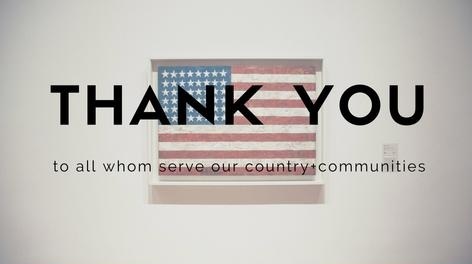 Thank You First Responder / Military for Your Service. We extend our gratitude to First Responders and Military who deal with countless tragedies that result in great suffering, destruction, and distress for our friends and neighbors. From serious accidents and crime to natural catastrophes, they are the first to respond no matter the cost to their own lives. We respect your continual efforts to keep us safe. That is why Everybody Massage wants to say thank you with our special rate just for you. Its your turn to relax and get away. We offer $15 off all regular priced services Mon-Sat. Must show valid ID to redeem. May not be combined with other offers, discounts, spa card payments or coupons. Not valid on couples or group discounts. New Service at EBM: HOT SYNERGY STONES are contoured to Soothe, Circle, Knead, Sculpt, Rake and Rock your muscles during a massage, while activating all 3 major sensory systems at once taking you to deeper state of relaxation than ever before. Gather a group of friends or colleagues and let us organize a well deserved escape for you. Search online up to 4 guests for service, day and time at your convenience 24/7. We offer just about all of our services as a group for up to 10 people. Please call us for more info. 972-772-3139. At Everybody Massage in Rockwall we want this to be your special time with your loved one. 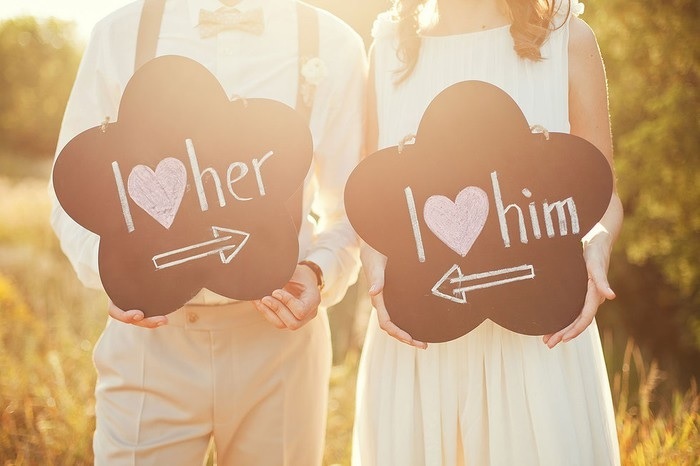 Our couples massage provides numerous self-care benefits, and the same holds true when you’re a couple. Customize your session by choosing what massage fits your bodies needs. Discuss with your therapist the areas you'd like focus on and what you would like to get out of the session. Unplug, Relax and Recover with an aromatherapy massage. 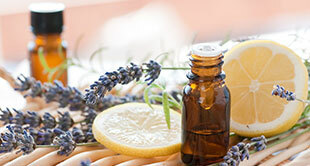 Essential oils will be applied topically during your massage to provide healing, soothing, and relaxing effects. 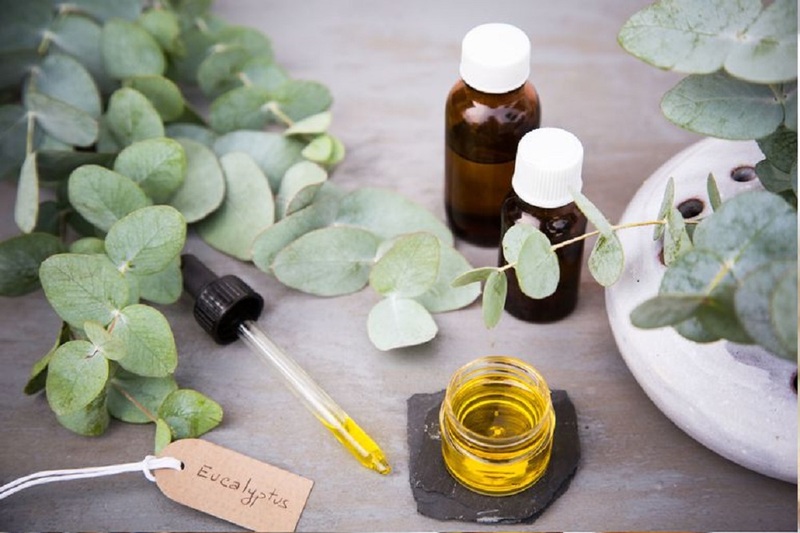 You'll find that aromatherapy massage provides the extra therapeutic and psychological care you need to get the most benefit from your session. 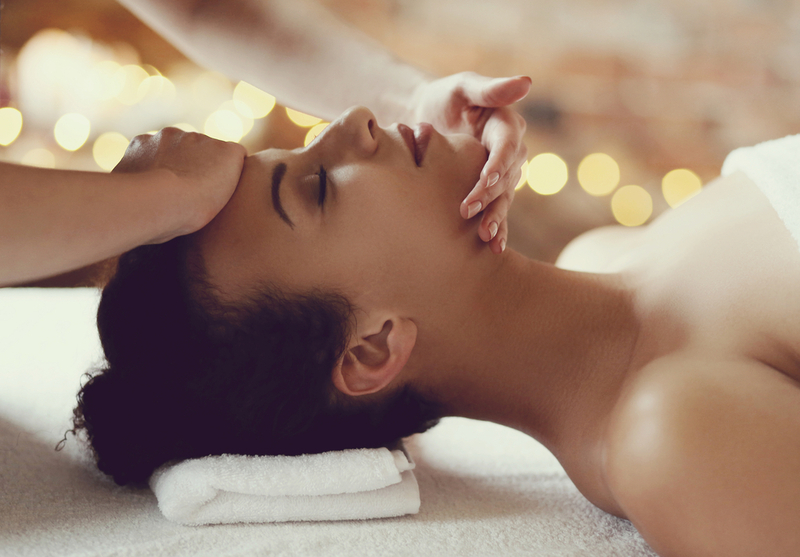 Unwind while we focus on relieving & soothing your aches w/ a tailored Swedish massage while, also indulging your skin and senses with an organic milk & honey massage lotion. Your stress will melt away w/ a hot stone foot massage. Our signature massage is customized by YOU! 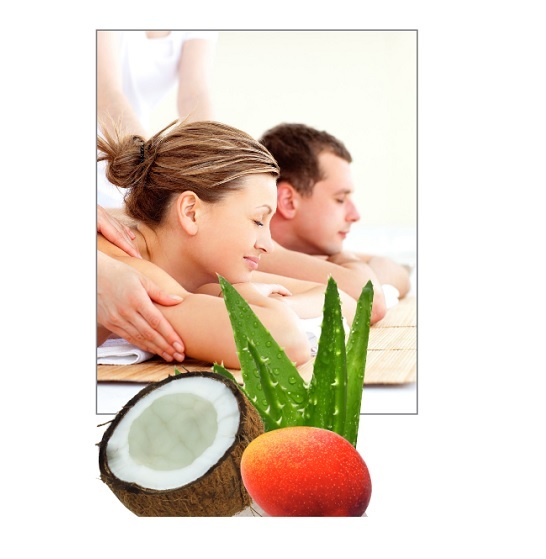 Treating the person as a whole, this massage is catered specifically to your particular needs. Discuss with your therapist the areas you'd like focused on and what you would like to get out of your session. Utilizing the techniques of Swedish massage, stress will melt away and deep relaxation will encompass you. *Book a deep tissue massage for a deeper and firm pressure. Ask about our re-book rates. Enjoy and be in sheer delight in the hands of someone else taking care of your mind and body. 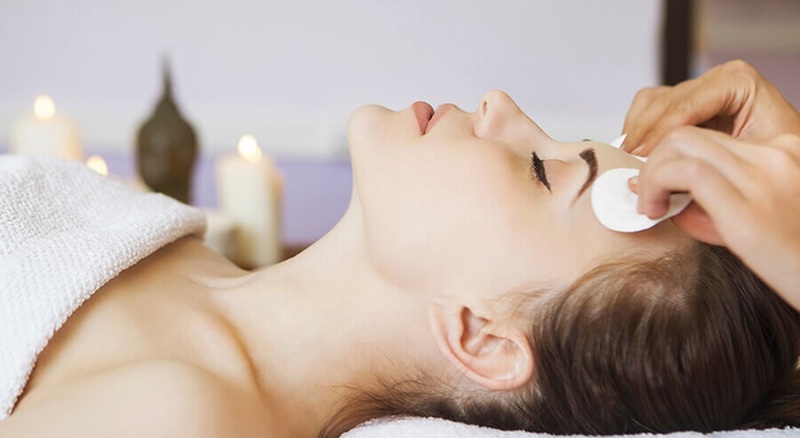 Let yourself relax and rejuvenate with a Therapeutic Signature Massage and express facial. Spa Experience Service: Escape the winter doldrums and indulge your skin and senses with a decadent aromatherapy escape. The Body Luxe Hydrating Wrap is bound to become a favorite for its rich texture and enticing scent. It’s the perfect escape, to hydrate and improve your skin tone. Conclude with a Back and Neck Muscle Tension Treatment! Upgrade your signature massage with heated basalt stones, the heat penetrates deep into your muscles tissue inducing deep relaxation. This deep healing massage is a must try for those with fibromyalgia, arthritis or in need of a good night rest. Ask about our re-book rates. Swedish Massage Is a very relaxing and therapeutic style of bodywork.The benefits of this type of bodywork are wide-ranging and include relief from aches and pains, decreased stress levels in the body,enhanced mental clarity and improve its circulation. Ask about our rebook rates. Our Trio Massage is a Swedish Massage combined with Aromatherapy and a hot stone treatment. Deep Tissue Massage is a form of bodywork that aims to relieve tension in the deeper layers of tissue in the body. It is a highly effective method for releasing chronic stress areas due to misalignment, repetitive motions, and past lingering injuries. Due to the nature of the deep tissue work, open communication during the session is crucial to make sure you do not get too uncomfortable. Keep in mind that soreness is pretty common after the treatment, and that plenty of water should be ingested to aid with the flushing and removal of toxins. Ask about our rebook rates. Spa Experience Service: Escape the rush and restore skins healthy glow with a cozy cocoon of skin soothing silky Cocoa Comfort Massage Balm followed by a deeply relaxing hot stone massage. Designed to help athletes prepare for or recover from an event, or to function well during training. Assists in prevention and healing of injuries to the muscles and tendons. Ask about our re-book rates. Spa Experience Service: Hardworking feet deserve a treat! Salts from the Dead Sea combined with marine extracts soothe and soften followed by a moisturizing wrap of European rose mud. To top off your happy feet , enjoy a soothing hot stone massage that will revitalizes and renew your soul. To really work deeper muscle layers and focus on specific issues, deep tissue is the choice service. Consult with your therapist to determine your particular needs and massage depth/pressure. We use different therapeutic techniques to work specific areas and injuries, This session includes reflexology during the foot massage. Start off your Deep tissue massage with a Muscle Comfort Essential Oil applied to pressure points.Then allow your muscles to loosen while we incorporate stretching techniques .All followed by targeted trigger points and a deep tissue massage. The craniosacral system encompasses the movement and flow of cerebrospinal fluid. Using delicate touch, the therapist monitors the rhythm and motion to determine where restrictions are located. This technique gently releases restrictions and encourages optimal fluid movement to nourish all the tissues of the body. The result is a deep sense of calm and well-being as well as an increase in self-awareness and clarity. 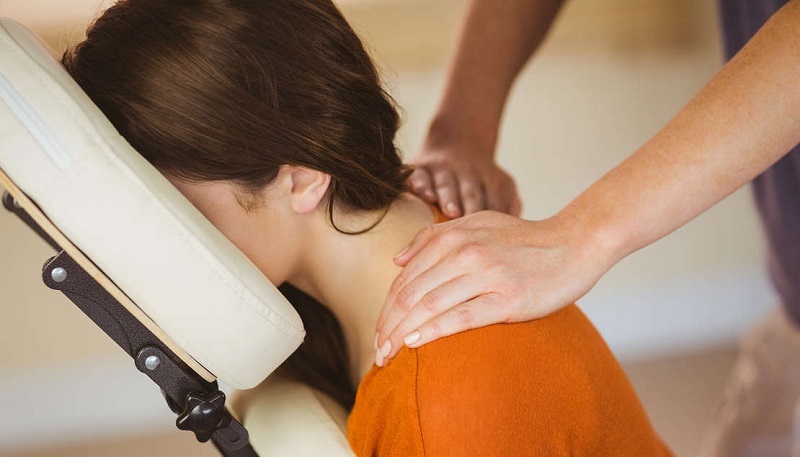 Craniosacral is a powerful technique that can be useful in relieving chronic pain, headaches, TMJ Dysfunction, emotional trauma, and stress related dysfunctions. Pregnancy Massage is a form of bodywork designed specifically for pregnant women. Using various techniques specifically for the new mother, Pregnancy Massage helps alleviate discomforts experienced throughout the pregnancy. We do not perform prenatal services before the first trimester. This massage is primarily done to relieve the tension and stress around the neck, back and shoulder area. We target problem areas caused by over use, tension, injuries and/or knots! Rejuvenate with a Aromatherapy - Swedish Massage that will ignite your senses and relax your mind and let those ache knots melt a way with a hot towel treatment. Enjoy this session after stressful day. Therapeutic massage indicates that the massage will be a little more intense than a pure relaxation massage and helps with long-term or chronic issues. The therapist uses more pressure and cross-fiber friction in order to get knots to release. When practiced in a professional environment and applied correctly, it is one of the most powerful methods of treating and preventing pain as well as helping one to achieve a total state of well-being in a non-invasive, safe and healing way. Excellent, first class, dedicated focus in providing the best of the best in customized massage experience for your needs. This is the place to go in Rockwall for a great massage experience! The staff is friendly and knowledgeable. And if you have never had a massage, they will help you feel so comfortable so that you can enjoy the experience. At Everybody Massage in Rockwall , we are committed and passionate in helping others feel and be their best through the healing of touch. Each therapist is licensed, trained and experienced in different techniques, to help you achieve better health. We invite you to seek relaxation and pain relief in our relaxing and comfortable studio.